The United States is hunting for the son of al Qaeda leader Osama bin Laden and is willing to pay up to $1 million for information on his whereabouts. Hamza bin Laden, whose father was killed by US Navy Seals in Pakistan in 2011, is emerging as a leader in the al Qaeda terror network, according to the US State Department. "He has released audio and video messages on the Internet, calling on his followers to launch attacks against the United States and its Western allies, and he has threatened attacks against the United States in revenge for the May 2011 killing of his father by US military forces," it said in a statement. The State Department said when his father was killed, items seized from his hiding place in Pakistan indicated he was grooming Hamza bin Laden to replace him as the leader of the terror group. The younger bin Laden is married to the daughter of the lead hijacker in the September 2001 attacks on the World Trade Center, the State Department said. 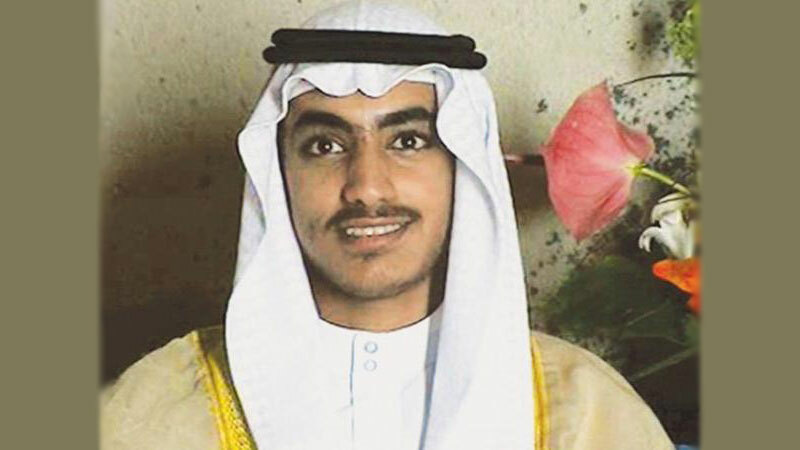 As American officials hunt him down, United Nations member states are required to freeze Hamza bin Laden's assets, and comply with a travel ban and arms embargo, according to the State Department bureau of counterterrorism. US officials estimate Hamza bin Laden is between ages 30 and 33.